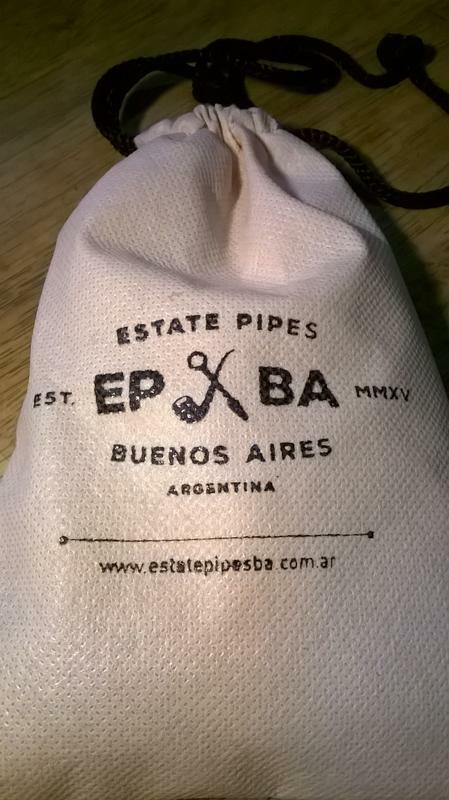 Yeah, I'm talking about those nifty, little, fabric pouches with the drawstrings that we often get with new pipes and sometimes even with old estate pipes. Do you store your pipes in them? Do you keep the pipe in a rack or whatever and toss the sock into a drawer? Do you use them when you travel with a pipe? Do you repurpose them for some other function? Do you toss them into the garbage bin immediately upon arrival and forget about them? I have a Chris Askwith pipe sock, and very nice it is too - a sort of tweedy/tartan affair. I don't buy many new pipes, but sometimes estate purchases come with the original box and sock. Unless the missus gets to them first, I keep these; a 1953 Dunhill Root; an old Comoy's; and, best of all a mint box, sock and brochure for a 50's Stanwell and likewise for a Haymarket-era Loewe. "Big Paddy" also sleeps in solitary splendour in a Peterson sock - he's too big for the racks and I like to keep him away from the light. Last edited by plugugly; 07-25-2018 at 07:05. At home I let my pipes rest in pipe racks. When I go somewhere I use these leather pouches. Last edited by Huub Hendrikx; 07-25-2018 at 10:50. I have a few pipes that came with leather pouches and I store them in those when I don't smoke them. I have also kept the regular pipe socks of all my pipes and use some of them to take pipes along to the shed. In the house the pipes are on racks or lying on shelves. When I'm out and about, the pipes to in a pipe bag, but I also take along a pipe sock and put a pipe into it when I have to stop smoking because I go into a shop for example, or because the pipe has more tobacco in it than i have time for at that moment. Thats because I don't like throwing away unsmoked tobacco, but nor do I like ashes flying around in the pipe bag or my pocket. Hence the pipe sock for these occasions. I don't have many pipe socks as I don't have many briars. But I never use the few I do have and they're in the top drawer of my tobacco cabinet for safe keeping. The pipes themselves are kept in an old curio cabinet behind glass doors and dust free. I don't go out much and when I do it's always with a cob. My tobacco cabinets (cellars) are cool though. I have two cigar cabinet humidors from my cigar smoking days. One is a large Bob Staebell and the other a smaller end table sized Avallo. The cigars are long gone, I removed the humidifying devices, and they now make great baccy cellars. My black Falcon estate came in a box however the seller also included a pouch as well which I now keep my City de Luxe in. Falcons are very macho so don't need mollycoddling. The pouch was a nice touch however I suspect it's the customer who pays for it anyway rather than it being 'free'. If that's the case I'd rather not have it. Rather like all those 'complimentary' airline amenity kit bags I've got in the cupboard sitting doing nothing which I paid a fortune for. Say what again! I dare you! I double dare you! 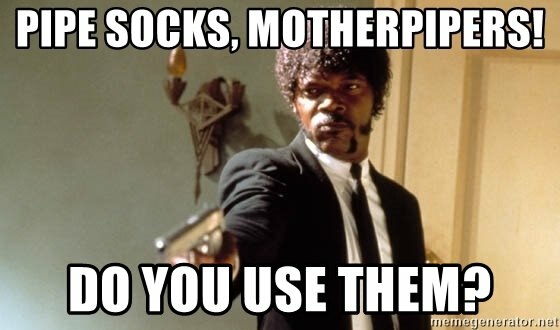 Do you use the socks for storage or do you keep them separate from the pipes? Thank you, Huub. Do you only use the leather pouches? What about those made of cloth? Do you use them as well?